Several years ago, during one of our holiday trips, we went shopping at Downtown Disney. For those who aren’t familiar, Downtown Disney is an open mall, filled with shops and restaurants. The stores were crowded with vacationers and locals enjoying the holiday decorations. As always, my son, Mike, was walking in front of me. I typically walk behind him. I guide him through crowds verbally and redirect him as needed. He tends to walks at an extremely fast pace; whenever I get ahead of him, he speeds up to pass me. As we were walking through one of the stores, Mike spotted a young man standing in line to check out of the store. 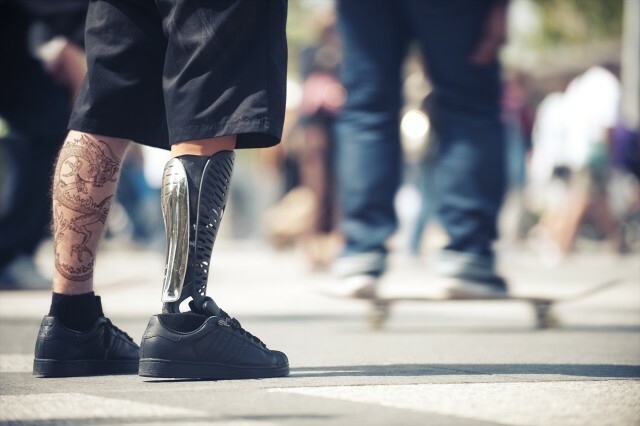 The man was in his twenties and had two prosthetic legs. His father was standing behind him and noticed Mike’s course correction in their direction. Mike was on a mission and, in his excitement, picked up his pace. I immediately knew where he was heading and started chasing after him, calling his name – anything to slow him down. In my mind, I was hoping I could explain his autism before he invaded their space. As I was rushing over, I locked eyes with the young man’s father, he smiled and mouthed, “It’s OK.” I immediately felt some relief – at least he understands. As we approached, I began apologizing. I started explaining that Mike has autism and is attracted to uniqueness in individuals. Before I could get the words out, Mike hit the floor to examine this young man’s prosthetic legs. Did I mention we were standing in a crowded store? I was horrified. The young man and his father were extremely kind and understanding – assuring me that it was all right. 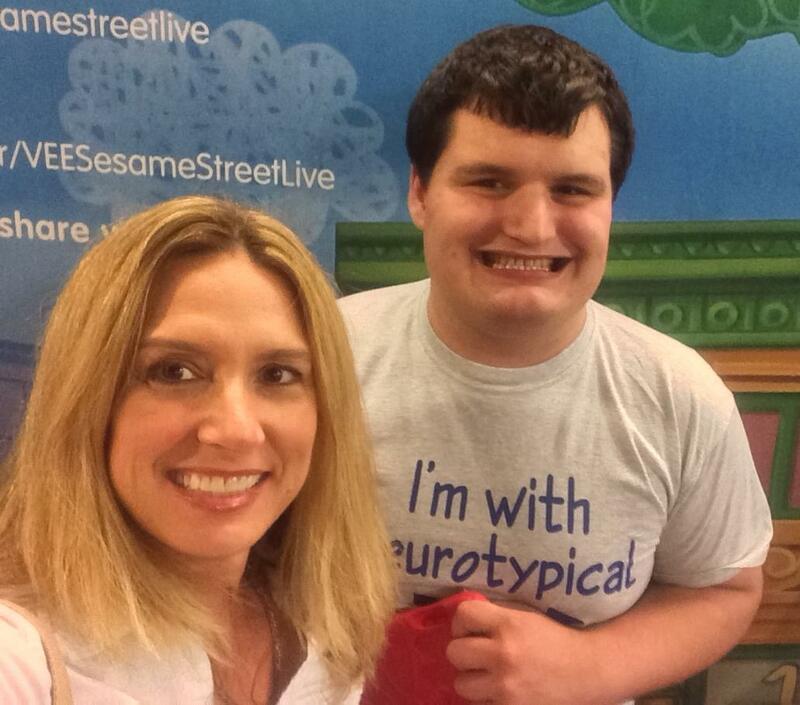 In addition to being Mike’s mom, Autism Hippie has worked in the autism field for MANY years. She has been trained and certified in several different teaching strategies. If you have a question concerning your child, please attend an Autism Hippie Webinar. Autism Hippie is also found on Facebook. Absolutely wonderful. Kudos to your son. He sounds to be such a beautiful person who “gets” it. Reblogged this on Ramblings of the Claury. Great story. Magic legs, as Forrest Gump said. It just made me smile. Others being understanding, and a special-need-child with a special insight, giving one down-spirited precious soul what he needed – a big cheer up! Yay! Há algumas semanas, durante uma de nossas viagens, fomos fazer compras no Downtown Disney. Para aqueles que não conhecem Downtown Disney é um shopping aberto, cheio de lojas e restaurantes. As lojas estavam lotadas com turistas e cidadãos locais, admirando a decoração de Natal. Como sempre, meu filho, Mike, estava andando na minha frente. Normalmente eu ando atrás dele, guiando ele oralmente e redirecionando-o quando preciso. Ele tende a andar com passos extremamente largos, sempre que ando a frente dele, ele acelera para me ultrapassar. Enquanto andávamos em uma das lojas, Mike viu um jovem esperando na fila do caixa. O homem tinha uns 20 anos e tinha duas pernas protéticas, seu pai estava parado logo atrás e percebeu que Mike estava indo em sua direção. Mike estava em uma missão em sua mente, com muito entusiasmo. Eu sabia onde ele estava indo e comecei a correr atrás dele, chamando seu nome – e fazendo qualquer coisa para ele ir mas devagar. Na minha mente, eu esperava poder explicar que ele tinha autismo antes de Mike chegar ao seu destino. Eu olhei para o pai do jovem, ele sorriu e disse “Está tudo bem.” Eu me senti aliviado- ao menos ele conseguiu me compreender. Eu comecei a me desculpar e a explicar que Mike tinha autismo e que ele se atrai por singularidades nas pessoas. Antes de eu colocar todas as palavras para fora, Mike sentou no chão e começou a analisar as pernas protéticas. Eu mencionei que estávamos no meio de uma loja lotada ? Eu estava horrorizado. O jovem e seu pai foram extremamente bondosos e compreensivos – dizendo-me que estava tudo bem. Another great example of all the wonderful things we as adults can learn from our children. Autistic or not, the honesty of children is so refreshing, and usually easy to take. It’s the adult fears of embarrassment that so often get in the way. Lovely story.